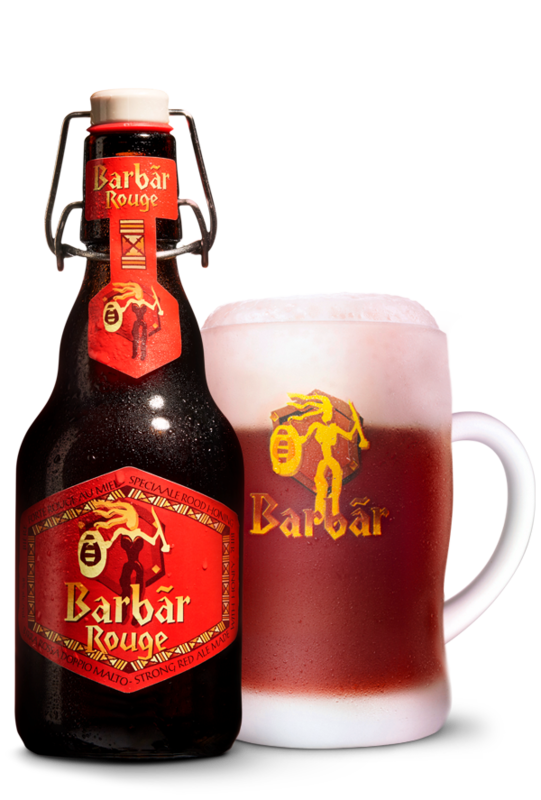 The Barbãr Rouge’s palate is marked by its acidulous and fruity overtones. Just like Barbãr Blonde and Barbãr Bok, its soft crisp and generous body is conveyed by the use of soft wheat and honey, resulting in absolutely no bitterness. Cherry once again dominates the midpalate. The aftertaste is fresh, crisp and without post-bitterness. A surprising beer with 8% alcohol. Enjoy your tasting!